Magic Carpet Cleaning in Ponders End EN3 have all the answers to your home cleaning needs. Our professional Ponders End carpet cleaners are an expert bunch who have years of experience tackling even the toughest jobs. Our team use the most advanced and effective hot water extraction methods to deliver high quality cleaning results for our great customers. What’s more they have a range of safe and tested products to remove all types of stains without being a harm to your family health. You can book a service right now by calling 020 8861 0979. Whatever the need, Magic Carpet Cleaning team in Ponders End (EN1, EN3) will have all the answer you need. 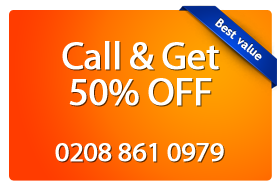 Just give us a call on 020 8861 0979 and our nice support assistants will help you through the booking process. As we work 24/7 for your convenience, don’t hesitate to contact us any time of the day. We will even provide you with an absolutely free of obligations price quote! You can have all of questions answered and learn more about our professional carpet cleaning services in your area. Don’t hesitate but call our team right now and we are sure you will become a customer for life!